Last year I did a review of an amazing product, Whitening Lightning. An amazing pen that whitens your teeth quickly. Here is that review. I was extremely impressed with the results. Real quick, here is a bit of back story. I have recently became obsessed with my teeth. I want them to be perfectly straight and white. I am currently using Invisalign for the straightening part, but still struggling with how to find the best whitening products. I have been using Crest White Strips which work great, but I have extremely sensitive teeth so for the first day after I use them I'm in a lot of pain. And although they whiten my teeth, I'm still always looking for the next best thing. Last year I reviewed the Whitening Lightening Pen, if you don't know what it is, I will refresh your memory. The Whitening Lightning Pen sells for $79 It is a revolutionary whitening product containing a powerful whitening agent that dissolves difficult to remove stains, without any damage to the tooth enamel. This advanced formula wipes away surface stains, leaving you with a healthy and sparkling white smile. Freshens breath, kills bacteria and restores teeth to natural white. When I reviewed the pen last year, I was also pregnant and wasn't sure if it was the best thing for me at the time. A little bit of an update, after I gave birth I went back to using the pen and my results were instant. I wish I would have taken before and after pics, but you will just have to take my word for it. It's a great product, and although it's a bit out of my price range, the money is well worth the results. 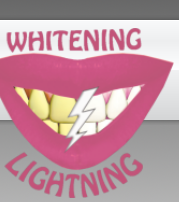 The one thing I didn't know about Whitening Lightning, is that they sell other products. One of their best sellers is the Dial A Smile Professional Whitening Kit. And when I say it's professional, it's just like the treatment you would get in a dental office. 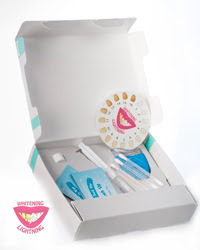 The kit comes with A shade dial, dispensing dish, LED light, gel syringe (3 treatments worth), 3 teeth wipes, 1 application brush + 3 vitamin E swabs. At first, I was a bit overwhelmed, I thought this was going to be a huge long process, but I was wrong. The instructions were fairly quick and easy. 1) Use the paper shade to determine your "before" color. This is a quick easy way to be able to see your results! 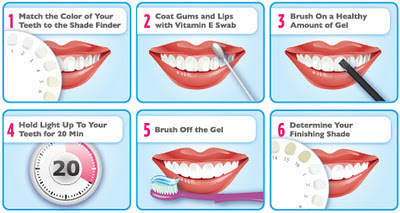 2) Use one of the blue teeth wipes to wipe your teeth dry. 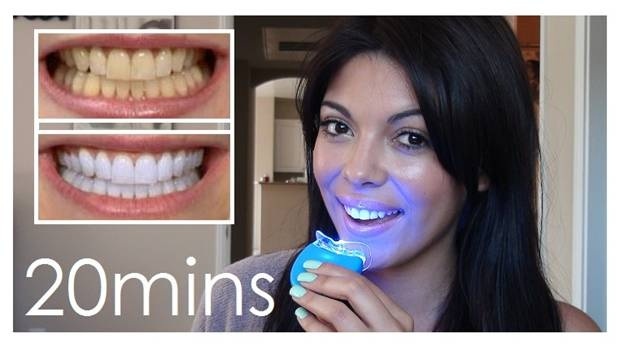 This is a step I haven't seen any other teeth whitener use. But it is an important step, so you apply the product evenly. 3) Use one of the vitamin swabs to swab your gums, then break off the other end and dip it in the gel tray, applying product evenly to your teeth. Then of course, the last and final step is to take the little blue light and leave it on your teeth for 20 minutes. You can put it in your mouth so you can do other things while your whitening. The best part was I felt no sensitivity afterwards. No pain, just whiter teeth. And the kit will last you at least 3 treatments too. This type of product would cost around $1500 at your dentist's office, but this kit sells for $399. So you have to figure that's $100 each time; way cheaper then in a dental office. 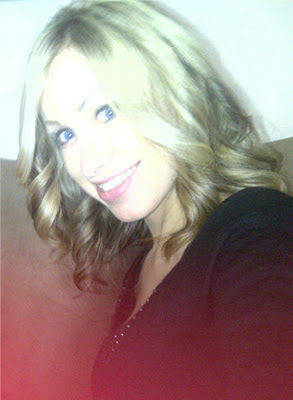 May be a bit hard to see, but my teeth are now super white! I've never had my teeth professionally whitened so I can't compare the results to a dental office,but I'm happy with the end result. 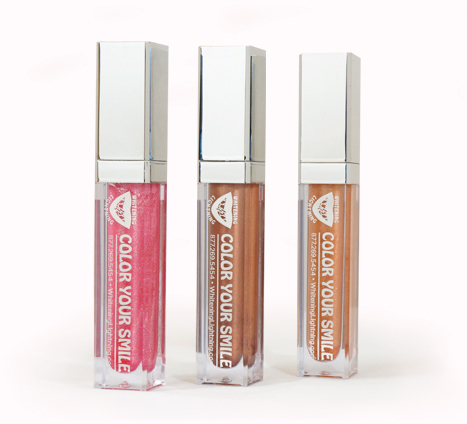 And my favorite Whitening Lightning product is the Color Your Smile Lipgloss. 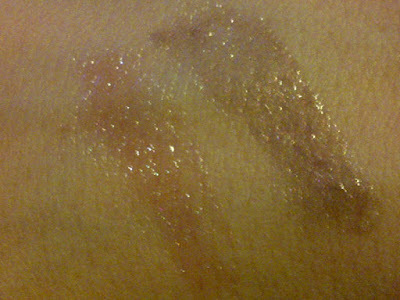 At first glance it appears to be just a normal gloss, but oh no, it's so much more! A fresh new lighted lip-gloss that contains collagen peptides to increase lip volume and reduce lip wrinkles, while doubling as an amazing moisturizer. These collagen peptides rapidly speed up cell renewal to increase lip size safely and painlessly. A Whisper lightweight treatment, luxuriously moisture rich and so comfortable to wear, never sticky. The gloss creates a super natural, luscious look. Available in these new fashion forward innovative shades and hues of peach, pink and bronze. A gloss with a mirror? So cool! You can put your gloss on in the dark and the colors are gorgeous. Colors are light with microshimmer. 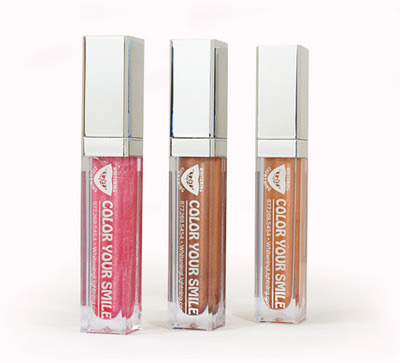 The Color Your Smile glosses come in 3 different colors, and I'm so sorry I didn't get to swatch the last color, but the gloss was such a hit with my friends and family I was forced to give one up before I could swatch. But I promise you it's such as pretty as the two colors above. 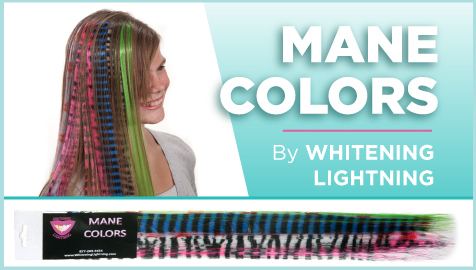 Another new product from Whitening Lightning is their Mane Colors. 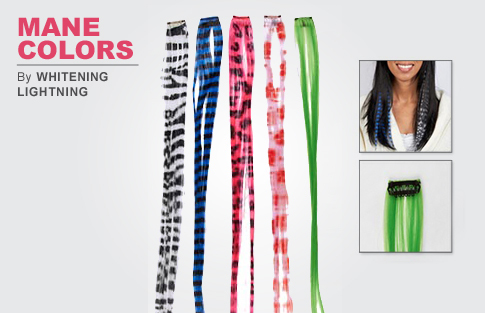 A colorful array of clip on streaks for your hair, this is perfect for any girl looking for a little bit of a hair change. 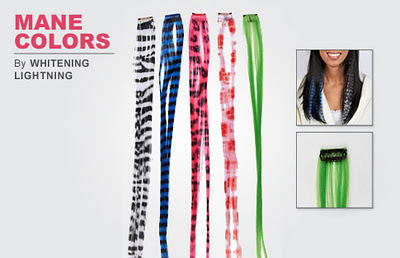 The clips are 16 inches long, so regardless if you have short or long hair, you can make the Mane match. One pack sells for $49 and comes with 5 crazy colors. I think this would make a great gift for any teenage girl. You can also cut them in half or quarters to make the streak a bit thinner in your hair. The Mane Colors sells for $49 a pack. Now I have a special coupon code for all my readers, and it's a good one 60% off your entire order from Whitening Lightning. That is an amazing offer! Use Coupon Code BELLA60 at checkout. Disclosure: Press samples were sent for consideration from PR for the purpose of this review. All opinions are my own. No monetary compensation was received.